Do you believe in reincarnation? What if you were once a powerful witch in a previous life and can regain your magic . . . would you? Carrie&apos;s boyfriend Tree cannot help feeling uneasy about the changes he sees in the woman he loves. 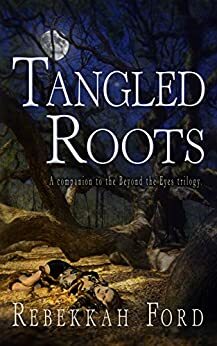 When Carrie&apos;s past clashes with the present and dark magic intoxicates her once again, Tree must take drastic matters into his own hands and attempt to save Carrie from herself. With Tree&apos;s help, will Carrie be able to resist the allure of her new powers? Or will she plunge into the deep end and give into them? This book is a spin off of the Beyond the Eye's Trilogy. With Tree and Carrie the main people. This book is a Great read for the Paranormal series. I would defently give this book a 5 Star Plus. With all the YA Paranormal books out this is the best in the group. You will Not be depressed on this book at all. But first read Beyond the Eye's Trilogy first. So you have story on everything. Just like the Harry Potter series. Must read in order. Great late night, relaxing book to read. Or read anytime. Its hard to put down once you get reading it. Rebekkahl Ford has written a very good sidebook to the original story. Tree and Carrie have come a long way, but her soul longs for a magical tie. Tree is on the path to be a great light walker. But Carrie has Isadore inside, who was a powerful witch in the 1600s. Now they must chart unfamiliar territory without Paige and Nathan, to handle the situation. It's a very good story. Read on my friends. 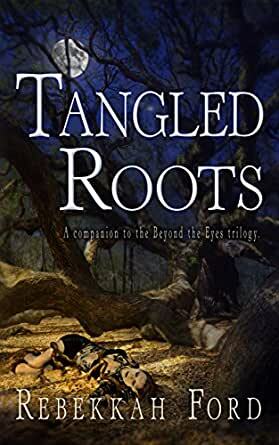 A great addition to the "Beyond the Eyes" series. This book sort of ties some lose ends together. The book was great, i loved the story but, the editing was terrible. There was a lot of places where the story repeated itself. It was very aggravating. that is why i gave only 4 stars. This companion novel gets deeper into the spiritual mechanics of things. Ms. Ford's ideas are interesting and not too far from my own so I did enjoy it though others may not be so accepting. Good job! This was a great book! I love all the different characters and how they interact. Love the mystique of it all. I so hope that you write another book with these folks ,maybe 10 years later!! Thanks so much for sharing this book!! Excellent read! LOVE IT! !